If you own a smartphone, it’s pretty fair to say you use (or at least know someone who uses) Snapchat. If you snap videos to your friends all day – like most people do – Snapchat just released something really cool, and it gives people a new way to film and post Snapchat clips. They launched a pair of tech sunglasses called Spectacles. These special sunglasses sync with the Snapchat app on your phone and they record 10 seconds of video with the click of a button. Snapchat has added new features into their app in order to make sure that Snapchat’s Spectacles works well with it. When you record a Snap with these sunglasses, they’re automatically saved in your Snapchat Memories. This is a new feature that stores all of your saved Snaps, Stories, and locked content. In addition, Snapchat’s spectacles imitate how humans actually see. They have a built-in camera with a 115-degree lens. This means that Snapchat is moving away from its ‘vertical video’ strategy (portrait mode) and giving users the freedom to shoot something horizontally (landscape mode). And this will all depend on how the phone is held! So users will be able to toggle between vertical and horizontal modes to see different perspectives of the video. To record a Snap (both picture and video), all you need to do is tap a button on the top-left corner of the sunglasses. It will automatically stop recording after 10 seconds, but you can tap again to add more 10-second increments. You can record up to 30 seconds at a time. When you wear the sunglasses, you will see a light that shows you’re Snapping something. Snapchat also provides an outward-facing light to show others when you’re recording and when they’re in your field of view. To play back your Snaps, you’ll need to use the Snapchat app on your phone. How Do You Send Videos from Your Spectacles to Your Phone? Snapchat Spectacles work with Android and iOS devices. If you have an iPhone, the sunglasses can transfer your Snaps via Bluetooth connection or WiFi; you can only transfer your Snaps through WiFi if you have an Android. What Is the Battery Life of Snapchat Spectacles? Snapchat’s spectacles have batteries inside them. They will last for approximately 24 hours. Double-tap on the outward-facing light on your sunglasses to find out how much battery life your sunglasses have. The chargers are interesting, as well. You can charge them up to four times using the case (without any power). When Will Snapchat Be Available? At this moment, Snap Inc. is only making a limited number of Snapchat Spectacles. 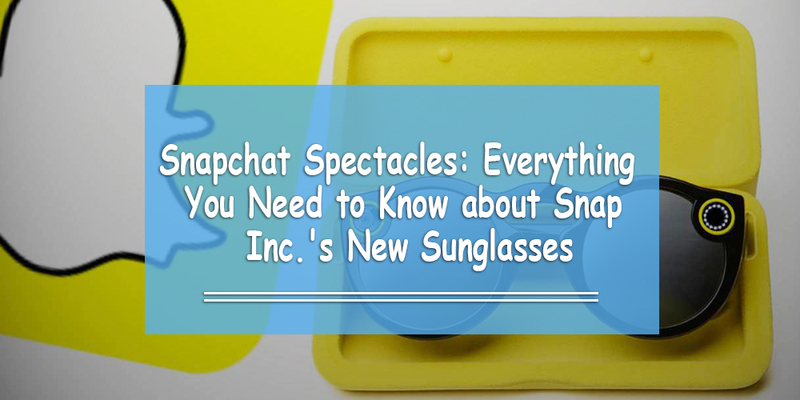 CEO Evan Spiegel said the sunglasses will be available sometime this fall. Although there is a lot of excitement around the product right now, he says the company is taking a slow approach to make sure that they work out all the problems and understand all the criticism first.